Investors in the Thrift Savings Plan (TSP) transfer money into or out of different funds for a variety of reasons. One reason is to time the future direction of the stock market. The idea behind this theory is that it is better to sell the stock funds when the market is high and to put the money into the G fund. Conversely, it is better to sell the G fund and put the money into stock funds when the market is down and about to go up. The trick, of course, is knowing when the market is at a high point and about to go down, or at a low point and about to go up. Being on the right side of a trade (i.e. a trade that makes money) when buying and selling is usually a matter of luck. Anyone who thinks executing a market timing strategy is simple has not been buying and selling stocks (or TSP funds) very long. My advice to a person in this situation would be to put the money into the appropriate Lifecycle fund, do an automatic investment in each pay period, and ignore the ups and downs of the stock market on your way to a future retirement. In September, TSP investors transferred about $711 million out of the G fund and another $152 million out of the F fund. Another $264 million was withdrawn from the I fund. Where did this money go? $251 million went into the C fund. $805 million went into the S fund. For some investors, perhaps the decision to transfer money from the G fund into stock funds was due to the third quarter results for the stock market. After a slower start in the first half of the year, the S&P 500 moved ahead 7.2% in the third quarter—the largest gain since the end of 2013. The C fund was also up 10.54% at the end of the third quarter in 2018. At the end of June, it was only up 2.63% for the year-to-date. But, in October, the upward trend underwent a significant reversal. Investors who transferred money from the G fund into one of the stock funds lost money. The C fund lost almost 7% in October. The S fund lost more than 10%. Any TSP investor who wanted to make money by selling the G fund and putting it into these two funds lost money. If the decision to sell the G and buy the C or S funds was an attempt to time the market, it failed—at least in the short term. Over time, the TSP stock funds provide a higher return than the bond funds. In the meantime, short-term traders may have lost between 7% and 10% of their investment in one month. 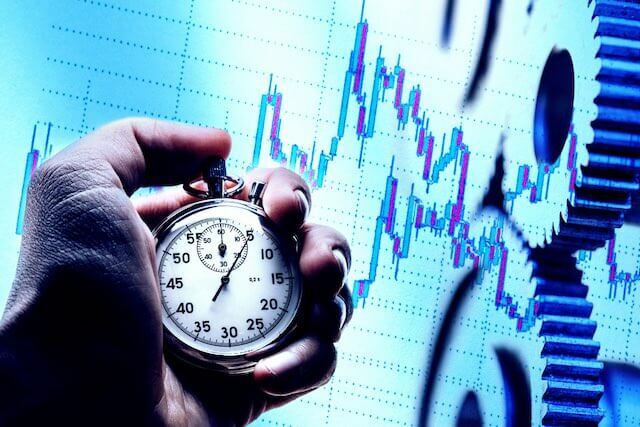 Timing the market or buying or selling stocks as a reaction to short-term events often results in a significant loss for investors. Unfortunately, this is not a new story. Here is how TSP investors reacted during a significant turnaround in the stock market in 2000. In December 1999, TSP participants put $427 million into the C fund. At the same time, they withdrew $427 million from their bond funds. In January 2000, another $728 million was moved into TSP stock funds. This was the peak of the bull market. In other words, stock prices were at their highest level in history. Several months later, the bear market hit hard. Stock prices started dropping and continued to drop in 2000. When TSP participants got their December 2000 statements, many realized for the first time what was happening to the value of their stock investments. TSP participants started selling their stock funds. From June through October 2002, when stocks were at their lowest levels, TSP participants pulled $3.8 billion out of the C fund and put their money into bond funds. The timing was as bad as it could be. They sold their stock funds at the lowest levels just before the C fund jumped up 29% in 2003 (the I fund went up 38% and the S fund went up 43% in 2003). There are many more TSP investors who are in the FERS retirement system than any other group. There are more than 3 million TSP participants who are under the FERS system and only 320,640 who are under CSRS. There are now about 1.4 million uniformed military personnel in the TSP. An interesting fact about the TSP: The number of Roth accounts has grown about 4% from the previous year. 23.5% of TSP participants now have Roth accounts and the assets have gone from $8.5 to $12.6 billion. We wish all of our readers a successful investing experience in the Thrift Savings Plan so their time in retirement as a former federal employee is enjoyable and free of most financial concerns. Which TSP Funds Had the Largest Losses in October?